Our work is much wider in scope than just historical heritage protection in the conventional sense. The history is only one part of the jigsaw and we are concerned primarily with the "living heritage" that is constantly evolving and what we leave for future generations. An important part of our work involves looking at innovation and the scope of modern maritime industry as well as community benefit, ecology, sustainable development concerns, promoting active use of the river and opportunities for social enterprise, leisure, tourism and cultural activity. Particularly how these connect with the evolving tangible and intangible heritage. This means networking and collaborating with experts in all of these fields to bring diverse knowledge together. The Clyde as a river and region is largely disconnected. There is no joined-up strategy between the public, third & private sectors, academia or the communities that line the Clyde to address how the potential of the river and its maritime heritage (in the broadest sense) can be fully developed. The region and Glasgow in particular has been all too quick and eager to erase the historic maritime industrial infrastructure. 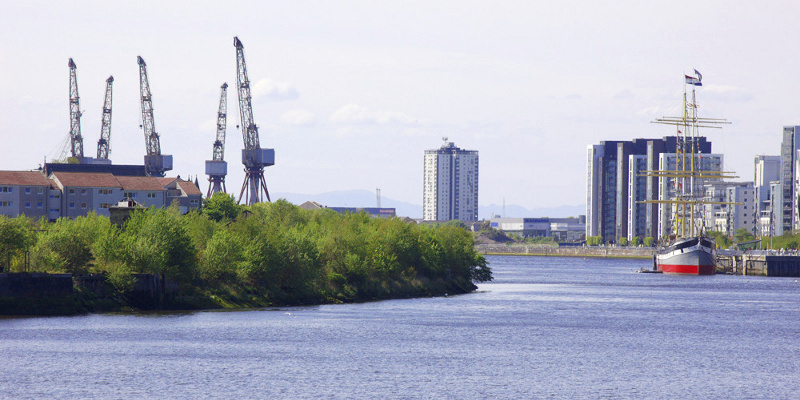 How the Clyde can again in time compete with other post industrial rivers and port/dockland regions, that have had many successes in adapting rather than destroying the physical evidence of their history, is one of the key questions CDPI aims too seek answers to. We aim to build a broad collaborative network around initiatives to take this forward.